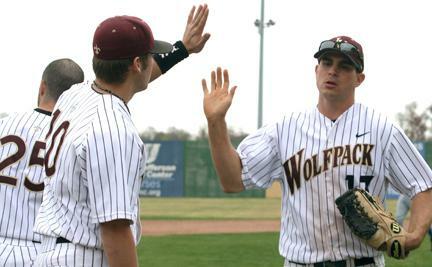 Wolfpack baseball players Lucas Wendt and David McChesney congratulate each other at the end of an inning. In the 2010 Gulf Coast Athletic Conference tournament, the team fell short of beating LSU-Shreveport. 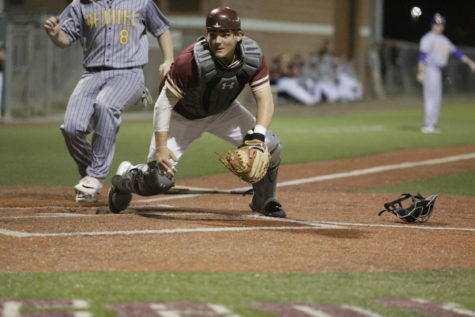 Wolfpack baseball stunned their fans and opponents in the 2010 Gulf Coast Athletic Conference tournament with upset wins against Belhaven University, Spring Hill College and William Carey University on their way to their first conference championship game since 2002. Assistant Coach Brett Simpson also said he saw the potential for Loyola to do well in the tournament. “We put together good wins all year long we just had to get hot string a couple of those big wins together,” he said. Loyola’s first opponent was conference cellar dweller Tougaloo College in Mississippi, who finished last in the conference every year since joining in 2008. Loyola could not afford to look past their opening round opponent since Tougaloo’s only GCAC win in the history of the team came against Loyola this season. “Since Tougaloo beat us earlier in the year, looking past Tougaloo shouldn’t have been a factor,” said Simpson. 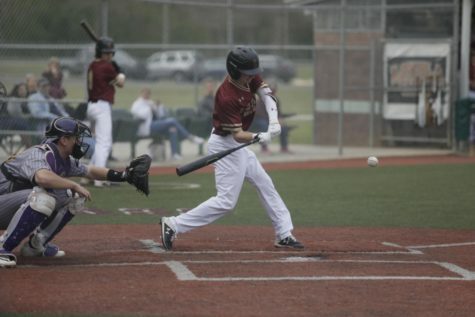 Not forgetting the early season loss, Loyola routed Tougaloo by a score of 15-2. The game was stopped in the seventh inning due to the 10 run mercy rule. 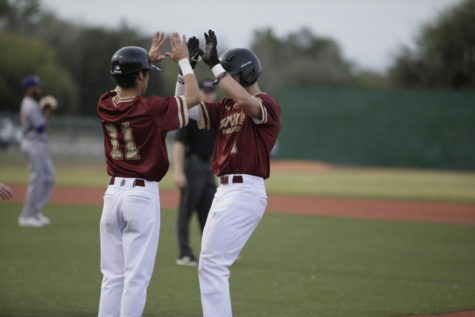 Catcher Bradley Brunet, management sophomore, and left fielder Ryan Scott, marketing senior, had four run batted in and powered the offense. Coming off this dominating offensive performance, Loyola’s players showed its ability to keep the opposing bats quiet as they defeated #10 Belhaven 5-3. Senior starter Mike Kelly went seven strong innings giving up just two runs on eight hits. 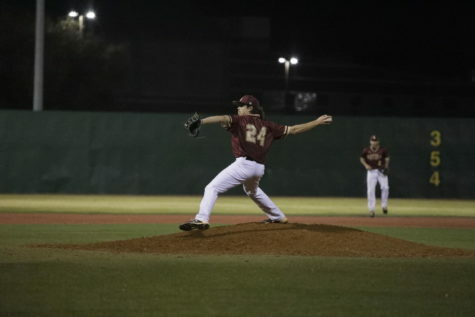 Fellow senior Kevin Fontenot pitched the last two innings giving up one run to earn the save. 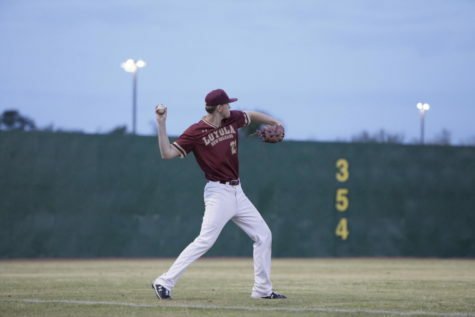 “Mike Kelly gave us a great start against Belhaven,” Domengeaux said, who cited the teams pitching as one of the reasons for the team’s success in the tournament. Riding the wave of momentum from beating Belhaven for the first time all season the ‘Pack put up another performance on their way to a 14-6 victory over Spring Hill College. “Once we won the first couple of games, our confidence just kept getting higher and higher and I guess that’s how we made our little run,” Domengeaux said. 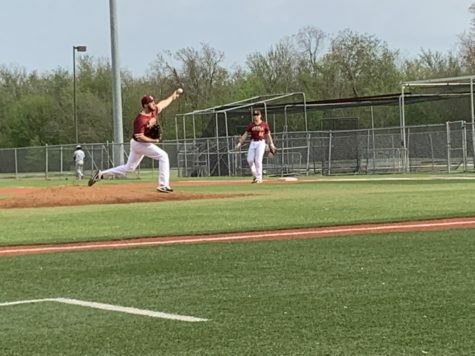 The offense players exploded for nine runs in the fifth inning against Spring Hill, which proved to be the decisive blow in the game. 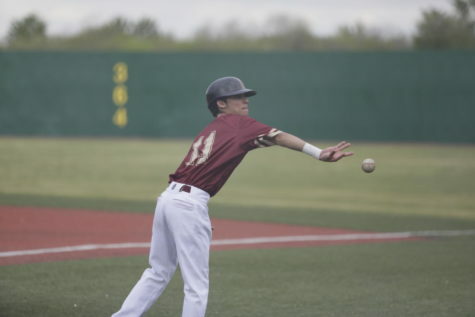 Scott had another big day at the plate with five RBI and was one of seven Wolfpack players to drive in a run. 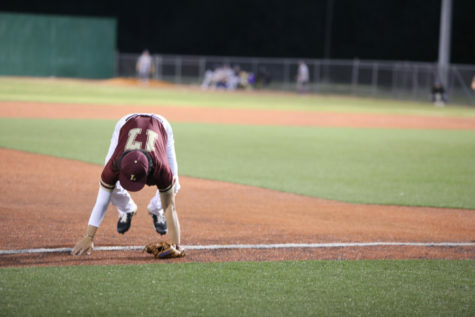 One of the most important times for a player to come through at the plate is in late and close game situations. Management freshman, Tyler Duplantis, came up with one of the biggest hits of his collegiate career in the top of the ninth inning against William Carey. With the ‘Pack down by a run and the bases loaded, Duplantis hit a single up the middle that allowed two runs to score, putting Loyola in the lead 7-6. Fontenot came in to close out the game in the bottom of the inning to pick up his second save of the tournament and seal the victory for the Wolfpack. Simpson also enjoyed the moment of the winning run. “It was exciting,” he said. He also said there was no hesitation on his part to send the winning run home. “With two outs, (our base running) is going to be super aggressive,” Simpson said. Loyola’s hot streak was not enough to get past #12 LSU-Shreveport in the conference championship games. Due to the double elimination format, Loyola would have to beat LSU-S once in two games to become conference champions. 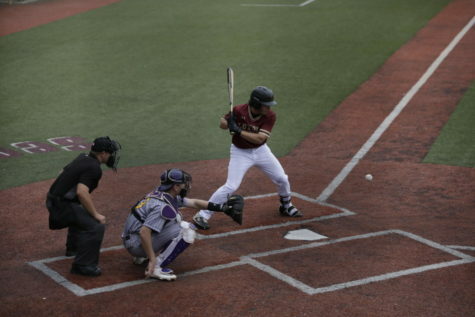 The Pilots overpowered the ‘Pack, beating them with scores of 17-1 and 10-3. Simpson explained that a well-rested Pilot pitching staff was the difference in the series. 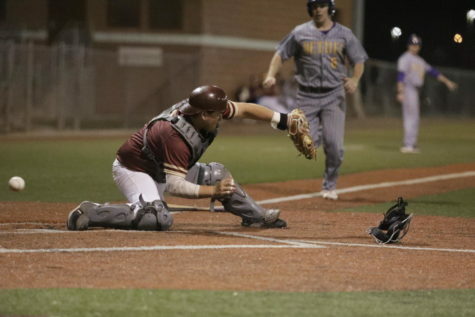 “Prior to playing us, Shreveport had two complete games from their starters. So they were probably set up, better pitching wise, since they did not have to use the bullpen,” he said.